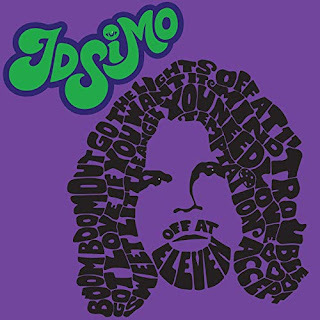 Guitarist/vocalist JD Simo has received a lot of well-deserved glory as of late for his soulful and energetic take on Second Generation blues/rock. Simo’s sound is based in the spirit of the late 60s but infused with the intensity of a rising star of today. His first solo album, Off At 11, out March 1, 2019, skillfully blends classic blues, rock, and psychedelic influences into songs and performances that are the equal of his inspirations. JD Simo stands on the shoulders of giants and takes his art to a whole new level. He has the grit and groove of Stevie Ray Vaughn at his best but folds in the improvisational spaciousness of the Dead, Allmans, and Butterfield’s East-West. The end result feels like a new giant walking the Earth in our present moment. Off At 11 is only eight songs total but JD Simo demonstrates a masterful command of tone and phrasing on each one. His solos are duets with the open air and he never goes over the edge into the getting-paid-by-the-note power wanking that often occurs when blues and rock guitar collide. Instead, Simo has that Miles-type thing where the only notes he plays are the right ones and the silence between them matters more than the pitches themselves. This is still rock music but it’s the kind that hypnotizes, not the kind that attacks. The set opens with a slow and heavy trip through Little Walter’s “Boom Boom Out Go The Lights.” Simo’s tone and vocals reveal the true threat of the lyrics in a dramatic way that’s much more pent-up than the party-down Pat Travers’ version most people are used to hearing. It’s evident from the first bar that this isn’t the typical power trio record. The title track, “Off At 11,” is up next and immediately launches into a full-on space jam situation that leaves the pentatonic boundaries of the blues behind, crashes through the Allman Brothers, and winds up hanging out in a bar somewhere with Jerry Garcia, John McLaughlin, and early Zeppelin. It’s the kind of cut that can only go down live and JD Simo, drummer Adam Abrashoff, and bassist Andraleia Buch delver it like flowing water. The three players make an able, flexible improvisational unit that’s a pleasure to behold.